DPIC ANALYSIS: What is the Impact of the Delaware Supreme Court's Declaration that Its Death Penalty is Unconstitutional? On August 2, 2016, the Delaware Supreme Court, by a vote of 4-1, declared the state's capital sentencing procedures unconstitutional. The decision, in the case of Benjamin Rauf v. State of Delaware, left Delaware without a valid death penalty statute. Four members of the Delaware high court ruled that the state's capital sentencing statute unconstitutionally empowers judges, rather than jurors, to decide whether the prosecution has proven the existence of all aggravating circumstances that are considered in determining whether to impose for the death penalty. They wrote that the jury must unanimously find those facts to have been proven beyond a reasonable doubt before a death sentence may be considered. A narrower 3-justice majority of the court also ruled that the facts necessary to impose a death penalty in Delaware included a finding that aggravating circumstances outweigh mitigating circumstances (reasons to spare the defendant's life). In a per curiam opinion summarizing the majority's conclusions and several concurring opinions explaining the individual Justices' reasoning, the court held that Delaware's statute violates the Sixth Amendment because it does not require unanimous agreement by jurors that aggravating circumstances outweigh mitigation beyond a reasonable doubt. The court said the unconstitutional sentencing provisions were inseverable from the rest of the death penalty statute, and that any changes to the statute would have to be made by the legislature. On August 15, state prosecutors announced that they would not ask the United States Supreme Court to review the decision. 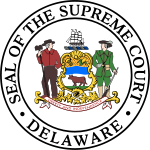 A news release on the Attorney General's website stated that Attorney General Matt Denn had concluded that the Delaware Supreme Court was likely to invalidate the state's death penalty statute under the state's constitution in the event that the United States Supreme Court reversed Rauf on federal constitutional grounds. The release noted that Delaware's courts have "repeatedly stated that the Delaware Constitution provides rights to a jury trial that are independent of and in some instances more expansive than those provided by the Sixth Amendment to the United States Constitution. Litigating and appealing these issues – a process that would likely take years before issues of both federal and state constitutional law were resolved — would likely not only bring about the same result, but would also deny the families of victims sentencing finality." Following the attorney general's decision not to appeal, questions remain as to what will happen to the prisoners currently on Delaware's death row, both the thirteen whom the website of the Delaware Department of Corrections list as currently facing active death sentences and the additional four whom the latest edition of the NAACP Legal Defense and Educational Fund's quarterly survey, "Death Row USA," list as facing potential retrials or resentencing proceedings. The Florida Supreme Court is currently considering the retroactive impact of the Hurst decision in that state, which could affect as many as 390 death row prisoners. Delaware's attorney general has indicated that prosecutors will oppose retroactive application of the decision. However, with no constitutionally valid capital sentencing scheme in place, the decision not to appeal Rauf almost certainly removes those facing retrials or resentencing proceedings from death row. Although the Delaware Supreme Court did not declare the death penalty itself unconstitutional, and so did not judicially abolish capital punishment in the Diamond State, some have suggested that the decision prospectively ends the death penalty in Delaware. In 2013 and again in 2015, the Delaware State Senate passed a bill to abolish the death penalty. Following senate passage of the bill in 2015, Governor Jack Markell indicated he would sign the abolition bill if it passed the legislature. The bill narrowly failed in the state house, but reconsideration of the bill was tabled pending the outcome of the Rauf case in Delaware's courts. Following the court's decision, Governor Markell said: "I applaud the Supreme Court's finding that the state's death penalty law is unconstitutional." He reiterated prior statements he had made about the death penalty, saying, "[a]s I have come to see after careful consideration, the use of capital punishment is an instrument of imperfect justice that doesn't make us any safer." Some death penalty proponents urged the state attorney general's office to appeal and are considering introducing legislation to address the constitutional defects identified in the court's opinion. Attorney General Denn has indicated that he "stands by" his previous position that he would support amending Delaware’s death penalty statute "to require a unanimous jury verdict in order to impose a death sentence." It seems unlikely, however, that a legislature that was on the cusp of repealing the death penalty and a governor who has come to oppose capital punishment would take action to affirmatively restore it. As the New York Times quoted Professor Eric Freedman, a death penalty expert at the Hofstra University School of Law, as saying, "[t]his probably means, as a practical matter, the end of the death penalty in Delaware." The Rauf decision could have a direct impact on pending litigation in Florida and Alabama over the constitutionality of capital sentencing statutes in those states. After Hurst, the Florida legislature approved a limited reformulation of the state's capital sentencing procedures. The new law permitted the court to impose a death sentence only if the jury unanimously found at least one aggravating circumstance that would make the defendant eligible for the death penalty and then recommended a death sentence by a vote of at least 10-2 after determining that the aggravating circumstances were sufficiently serious to justify a death sentence and outweighed any mitigating circumstances. The Alabama sentencing statute requires a 10-2 vote of the jury before it can recommend a death sentence, but provides full discretion to the trial judge to disregard the jury's findings and override a recommended life sentence. The Supreme Court has already granted certiorari, summarily reversed decisions of the Alabama appeals courts, and remanded three separate capital cases, directing Alabama to reconsider the question of whether its sentencing procedures violate Hurst. See Kirksey v. Alabama, No. 15-7912 (U.S. June 6, 2016), cert. granted, judgment vacated, and case remanded to the Alabama Court of Criminal Appeals; Wimbley v. Alabama, No. 15-7939 (U.S. May 31, 2016) (same); Johnson v. Alabama, No. 15-7091 (U.S. May 2, 2016) (same). Trial courts in Alabama and Florida have determined that their state's statutes violates Hurst, although those decisions have been reversed by intermediate state appellate courts in both states. The reasoning in the Florida case was strikingly similar to that in Rauf. In finding that Florida's new sentencing procedures violate Hurst, the trial court wrote that "it defies logic, and the dictates of [the Sixth Amendment]" to have the jury find the existence of aggravating circumstances unanimously and beyond a reasonable doubt while not requiring jury unanimity for another death-sentencing prerequisite, that aggravating circumstances outweigh mitigating circumstances. "Hurst," the court wrote, "specifically stated '[t]he Sixth Amendment requires a jury, not a judge, to find each fact necessary to impose a sentence of death.'" The Rauf decision is not controlling authority in the state courts in Florida and Alabama, but those courts will certainly consider its reasoning in determining whether their statutes pass constitutional muster. As Delaware abandons non-unanimous death verdicts, the national spotlight on these states' outlier practice shines even brighter. With 48 states rejecting death sentences grounded in non-unanimous jury votes, legislative resistence to meaningful statutory reform increases the likelihood that these statutes will be found to violate the Sixth and Eighth Amendments and that, in turn, has longer-term implications for the constitutionality of the death penalty nationwide. In their Glossip dissent, Justices Breyer and Ginsburg noted that the death penalty is not being used in most U.S. counties and that heavy use of the death penalty is an outlier practice. DPIC's 2013 report, The 2% Death Penalty: How a Minority of Counties Produce Most Death Cases at Enormous Costs to All, showed that, as of January 1, 2013, 2% of all U.S. counties accounted for more than half of all U.S. executions since the 1970s and 56% of all prisoners on death row across the United States. As the number of new death sentences imposed in the United States has continued to decline, new admissions to death row are concentrated even more heavily among this 2% of counties. Moreover, in recent years, more than 1 in 4 death sentences imposed nationwide have come from the three states—Alabama, Delaware, and Florida—that permitted judges to impose the death penalty after non-unanimous jury sentencing recommendations. A study by the Charles Hamilton Houston Institute for Race and Justice at Harvard Law School, released in October 2015, found that requiring jury unanimity in those states would have caused a dramatic drop in death sentences. During the period of the study (from January 2010 through mid 2015), the three states imposed 117 death sentences. Had jury unanimity been required, as the Rauf decision now says it must—there would have been only 26 death sentences, 77% fewer. Overall, had these states required unanimous jury death verdicts, as required by nearly every other death penalty state, the total number of death sentences imposed in the United States would have decreased by 21%. In 2015, practices in these three states that would have been barred by Rauf were responsible for 26% of all death sentences imposed in the country. A preliminary review by DPIC suggests that non-unanimous death verdicts are also dangerously unreliable and may substantially increase the risk of executing innocent defendants. Five of the six death row exonerees in Alabama were sentenced to death following non-unanimous jury votes; the sixth had waived jury sentencing. DPIC is in the process of examining the 26 Florida death row exonerations to ascertain the impact of non-unanimous jury recommendations. Our preliminary, but still incomplete, analysis suggests that as many as 90% of the jury votes in those cases were non-unanimous. Accurate, reliable factfinding is not merely a matter of good government and fundamental fairness; it is a constitutional value that the Sixth Amendment right to a jury trial and the Eighth Amendment protection against arbitrary and capricious capital sentencing are designed to promote. The decision in Rauf, buttressed by the reality that non-unanimous jury recommendations account for a grossly disproportionate number of dangerously inaccurate death sentences, makes it more likely that the practice will be held unconstitutional. Finally, if non-unanimous jury verdicts are ultimately held to violate the Sixth or Eighth Amendments, and the potential 25% plunge in death sentences imposed nationwide comes to pass, this would add ever increasing weight to the Eighth Amendment argument that the U.S. is abandoning capital punishment. In so doing, it would move the Court ever closer to a tipping point in determining that a sufficient national consensus has emerged to declare the death penalty in America unconstitutional. Read the Dealware Supreme Court's ruling in Rauf v. State.